We provide wide range in dyed quartz stone. I am a manufacturer in jaipur. This is AAA quality and machine cut beads. We offer high quality dyed red corrandum ruby beads jewellery at a reasonable prices. We do keep in the mind all necessary quality standards while crafting these high fashion jewellery. We are giving Dyed Emerald. With long years of experience in the industry, we are able to manufacture and export best quality Colours Dye including Ceylon Colors Dye. 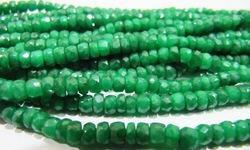 we offer these beads for designing striking pieces of jeweleries. The varied range of blue are equally suited for making both contemporary and traditional jewelry. We are Manufacturers and Exporters of Dyed Beads. 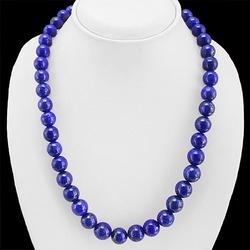 To meet the needs and requirements of the clients, we are offering a quality approved array of Dyed Sapphire Bead. The Dyed Sapphire Bead we offer is available in different cuts and colors that can be personalized as per the requirements of the clients. Moreover, one can get these products in committed time bound.